1. aircraft rose in the air, falling , hover, forward, backward, turn left, turn right, left to fly, right to fly, four side rolling function, headless mode, set high. 2. with the WiFi function, can be connected with APP, APK system to take pictures, video, real-time transmission through the mobile phone camera images. 3. aircraft can be folded, easy to carry. 4. remote control is anti interference protection function, the aircraft has low power protection and overcurrent protection, flexible and stable flight; through the remote tuning to ensure the normal function of the aircraft. 5. aircraft fuselage with high strength and durable engineering plastics, durable. The built-in six axis gyro, flight smooth. With the WiFi function, can be connected with APP, APK system to take pictures, video, real-time transmission through the mobile phone camera images. 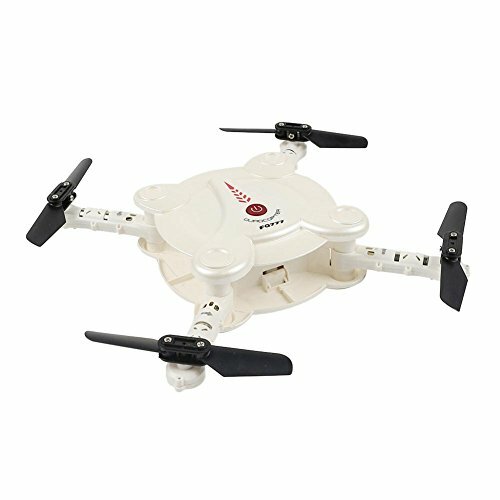 Product size: 6.5x6.5x2.5CM/2.56x2.56x0.98'' ;folding motor distance to the center of the motor: 14.5cm/5.71''. 4 Channel aircraft rose in the air, falling , hover, forward, backward, turn left, turn right, left to fly, right to fly, four side rolling function, headless mode, set high. Packing included:1 X aircraft;4 X fan blade (spare A2+B2);1 X USB charging line;1 X remote control;1 X WiFi mobile phone rack;1 X screwdriver ;1 X manual ;1 X portable bag. If you have any questions about this product by FQ777, contact us by completing and submitting the form below. If you are looking for a specif part number, please include it with your message.